Will you like to fill in a long detailed form to start accepting payments? Or will you like to start accepting payments right away and then come back to complete the documentation at a later stage? Well, the latter one sounds better, isn’t it? A payment gateway that lets you focus on your business growth while you complete the document verification process is always preferred. Choose the one with easy documentation upload/ sharing facility. Will you like to hire a developer to integrate your website with your payment gateway? Or will you prefer to do it all by yourself with minimum coding requirements? Ideally, a payment gateway should be quick to integrate. But, there are only a few ones available in India that provide you with such an interface. It should support you across mobile and website. It should also have plugin support for third-party e-commerce platforms and shopping carts. Losing trust and credibility of your loyal customer due to hacking or leaking sensitive card data is the worst thing that can happen to your business. As there have been technical advancements, so have been the rise in cyber-related crimes and false claims. Ask and check how the payment gateway protects you from frauds and hacks. Some of the security practices include 128 bit SSL encryption, Tokenization, Advanced Encryption Standard and stringent compliance with Payment Card Industry Data Security Standard (PCI-DSS). While you sell and earn online, will you like to share a good chunk of your earnings with a third party service provider? Or, will you like to get charged for something you were unaware of? Certainly NO. Look for a payment gateway with affordable rates without Annual maintenance charges and setup fees. Also, be aware of any hidden charges. These might include charges you probably did not think about like- cancellation charges or charges on not transacting a minimum account every month! How about providing a choice to your customers to pay by their preferred payment mode? It is ideal to choose a payment gateway that provides a number of ways to make payments. Credit/debit cards, net banking, UPI, and Wallet should be available by default. This makes it easy for your customer to have an alternate option to make the payment in case they cannot complete the transaction using one option. EMI and International cards also help you increase your consumer base, enhancing your sales in the long run! How about a platform where you can check the status of your transactions? Where you can analyze your transaction history and get quick notifications? Well, this will help you have a smooth experience when you check your transactions, in the long run helping you save your time and effort. And, the good news is that such payment gateways exist! So look out for a platform that is the one-stop destination and caters to everything related to online business. What if you get stuck while using your payment gateway? Or come across some technical issues which do not have any answers on the web? Despite all these facilities and aids, the most important thing you should look out for the best payment gateway in India is the kind of the customer support they provide. Both, process-related and tech-related queries should be addressed as soon as possible so that your business is not impacted at all! How about having a Payment Gateway that does a little more for your online business and helps you reach out to masses? Look out for a payment gateway that can be easily used on third-party platforms with plugins, gives you the ability to collect payments with just payments links or the one which you test even before integrating with! Choose the one with these additional benefits which will only help you in the long run. With all your marketing efforts for your business in place, it’s a good idea to have an all-in-one payment solution in place as well. 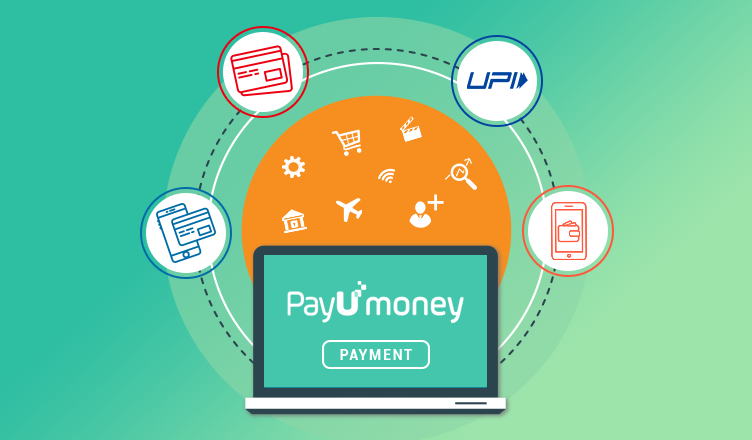 SignUp on PayUmoney now to enjoy the best payment gateway experience and grow your business effortlessly!